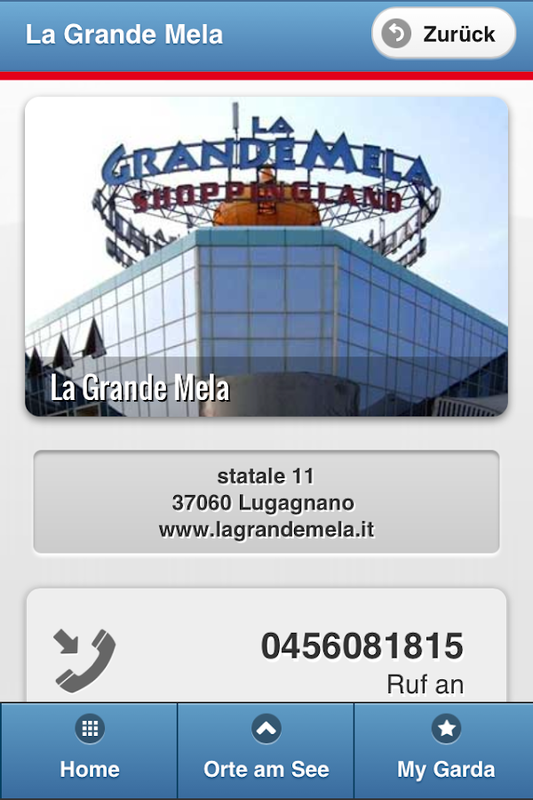 LakeGardaMobile is a revolutionaryapplication,designed for better organizing your holiday at LakeGarda. Weather,accommodation, restaurants, bars, clubs, trips,shopping,entertainment, shopping, free time, where to stay andeverything youneed to fully enjoy your holiday. 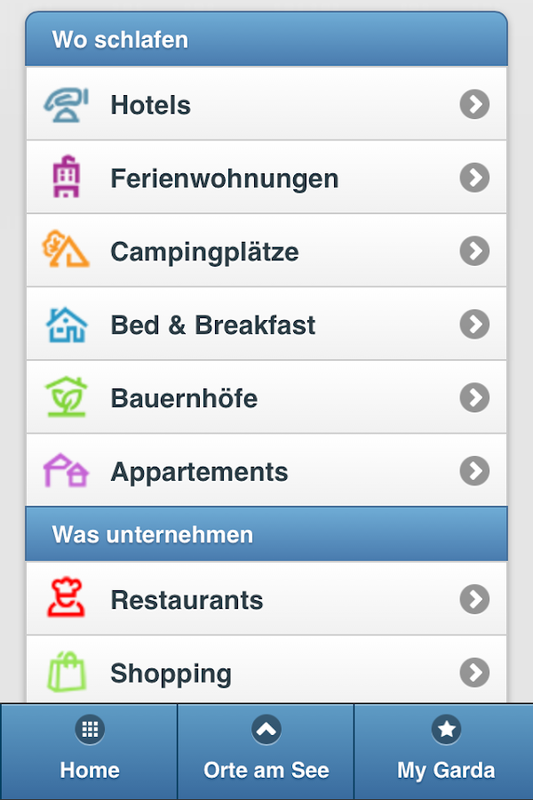 LakeGardaMobile is much more than a normal app. It's faster,moreistant, and you don't need a PC to check it out whenever youwant,and it's free! Find all the information about Bardolino,Lazise,Peschiera, Sirmione, Desenzano, Salò, Gardone, Limone, Riva,Arco,Torbole, Malcesine, Brenzone, Towers, Garda and other townsaroundLake Garda, including the city of Verona and Gardaland. Tap and go, and enjoy your holiday! 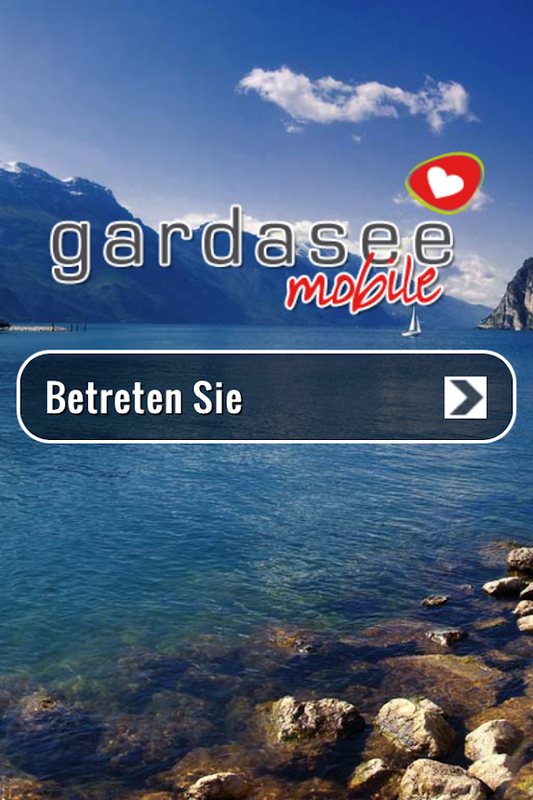 LakeGardaMobile is a revolutionaryapplication,designed for better organizing your holiday at LakeGarda. 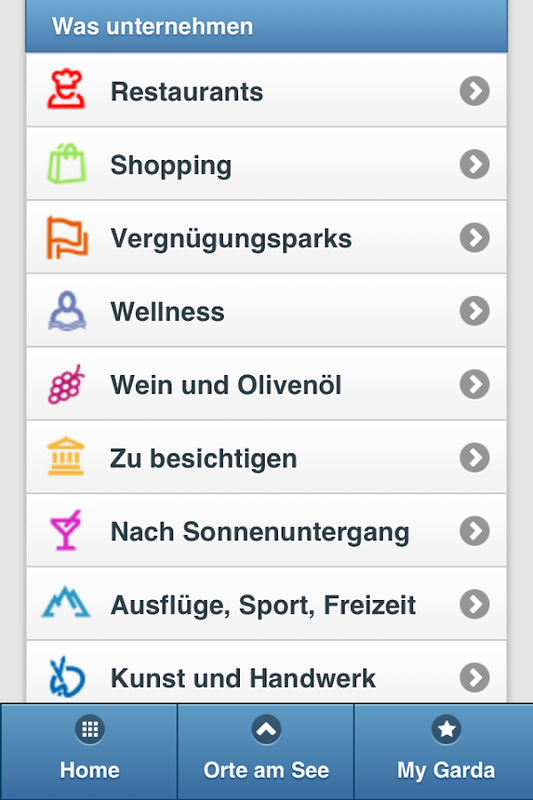 Weather,accommodation, restaurants, bars, clubs, trips,shopping,entertainment, shopping, free time, where to stay andeverything youneed to fully enjoy your holiday.LakeGardaMobile is much more than a normal app. It's faster,moreistant, and you don't need a PC to check it out whenever youwant,and it's free! Find all the information about Bardolino,Lazise,Peschiera, Sirmione, Desenzano, Salò, Gardone, Limone, Riva,Arco,Torbole, Malcesine, Brenzone, Towers, Garda and other townsaroundLake Garda, including the city of Verona and Gardaland.What are you waiting for?Tap and go, and enjoy your holiday! 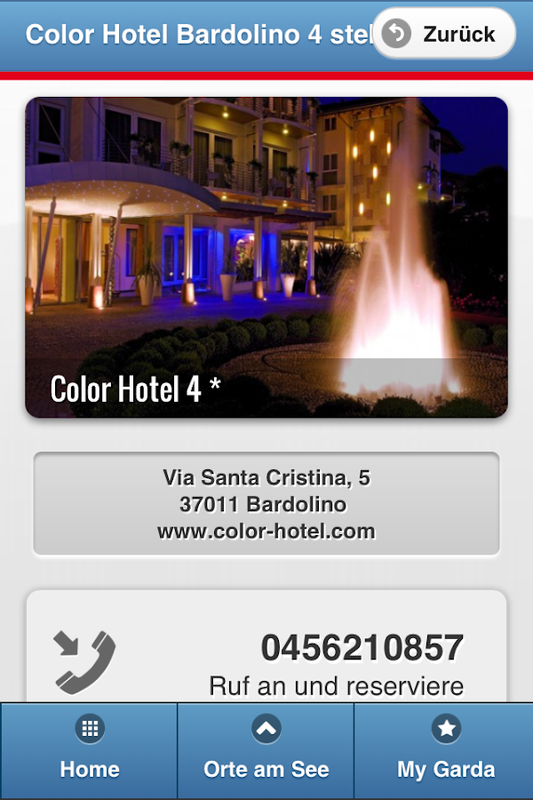 This App is the official app of the institutional site of LakeGarda (www.gardalakeuk.com).Within this App you will find a wealthof information and guidance for those visiting the Lake Garda areaor reside there. * Events: parties, festivals, grand openings ...*What to see and do: museums, amusement parks, sailing schools ...*Accommodation facilities: hotels, residences, farm ...* Cateringestablishments: restaurants, pizzerias, ...* Shops: local products,clothing, shopping centers ...* Information: phone numbers,dialysis centers, tourist information offices ...Using the "AroundMe" and the georeferencing of all the facilities and points ofinterest, you will discover all the activities around you with anindication of the distance.This App is part of a wide-rangingpromotion of 360 ° Lake Garda: GARDALAKEUK.COM: a choice of theheart. 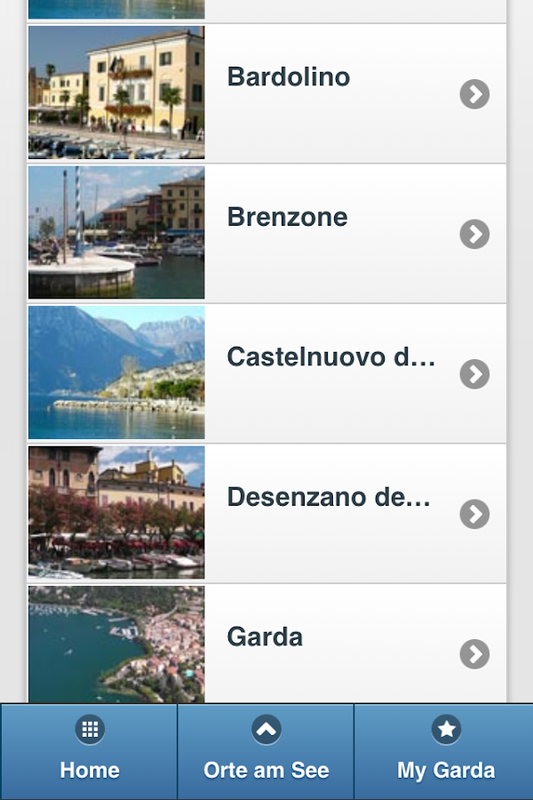 Garda App is a unique application that guides you to unknown trailsfor your MOUNTAIN BIKE, to PORTS, CLUBS and spots for SAILING,WINDSURFING and KITESURFING in the middle of the incomparablepanorama of Lake Garda!Beside manifestations, tasting andexhibitions the Garda App proposes many roads for MOUNTAIN BIKE andTREKKING, especially for nature lovers. Once started the excursion,it is possible to visualize the OWN POSITION, even WITHOUT INTERNETCONNECTION, and receive descriptions of the uniqueness on thetrip.Garda App enables to find easily the best places forpracticing all kind of sailing sports the lake offers. 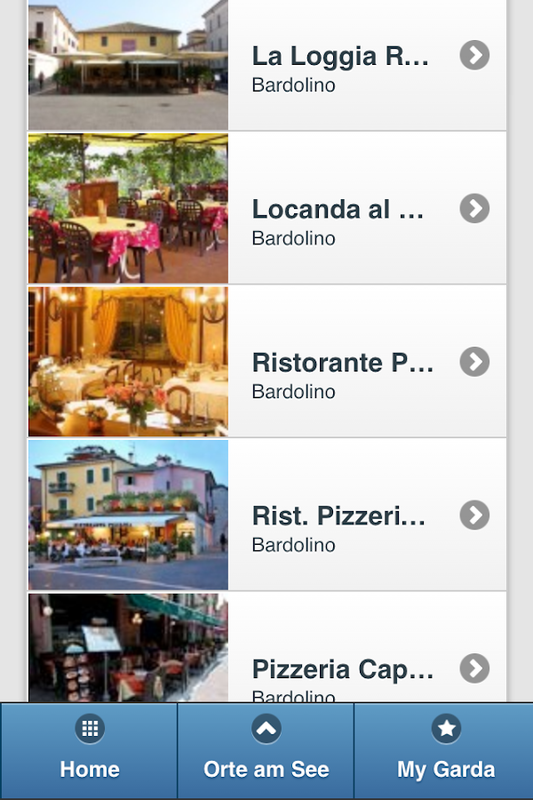 Arco,Desenzano, Limone, Malcesine, Riva del Garda, Sirmione and Torbole!Using the AUGMENTED REALITY the App makes it possible to visualizeon your smartphone or tablet the places of regional events with allnecessary details and information.Finally to guarantee a wonderfulvacation the App shows several recommendations of the BESTRESTAURANTS, the most COMFORTABLE HOTELS as well as the best offersfrom FITNESS CENTERS, BARS, NIGHTCLUBS, SPORTS OUTFITTERS, CLOTHESSHOPS and many more. Furthermore it provides you the possibleroutes to experience the local tastes, traditions or the pureshopping with the comfort to visualize immediately the road tofollow relating to your current position. The world's most versatile and user-friendly GPS navigation fortruck drivers.Truck GPS Navigation is a truck-specific navigationsystem designed to provide safe and reliable routing on truck-legalroads.Truck drivers know that choosing the wrong route leads towasted fuel, out-of-route kilometers, lost time and money and insome cases also safety issues. Unlike standard car navigationsystems, Truck GPS Navigation calculates efficient routes based onthe vehicle profile information, routing parameters and load type,including hazardous materials.The driver can choose a profileconfiguration based on length, height, width, weight, max. axleload, and whether he is carrying hazardous goods.The maps areon-board, which means they are stored directly on the device foroffline use. At the same time both the maps and the application canbe easily updated free of charge.TRY OUT THE APP FOR FREE WITH OURFREE TRIAL!